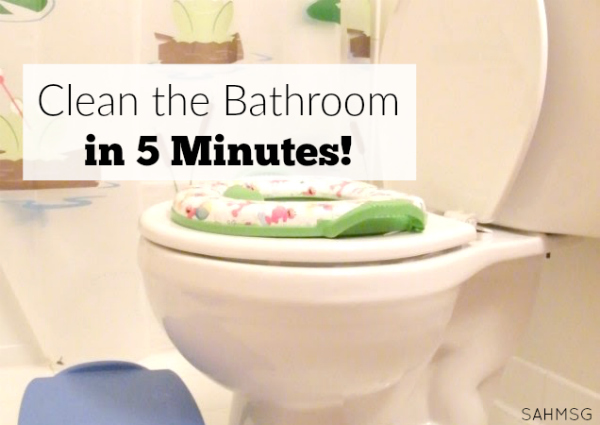 Clean the Bathroom in 5 Minutes! I DREAD cleaning the bathroom. I love when it is clean, but for some reason the ‘doing’ requires motivation. With potty training children in the house almost nonstop for the past few years, I definitely have my reason for keeping the bathroom as clean as possible-little hands, dirty toilet…yuck! With children in the house, if I am going to get anything clean, my method has to be quick. This method is great for the cleaning that you do weekly…or try to do…and it only takes 5 minutes! 1) Wipe down all surfaces with a dry paper towel or rag. You may need two towels to complete this depending on your bathroom size. -You are dusting the surfaces to remove all of the fuzz, hair, etc. that accumulates on the hard surfaces. 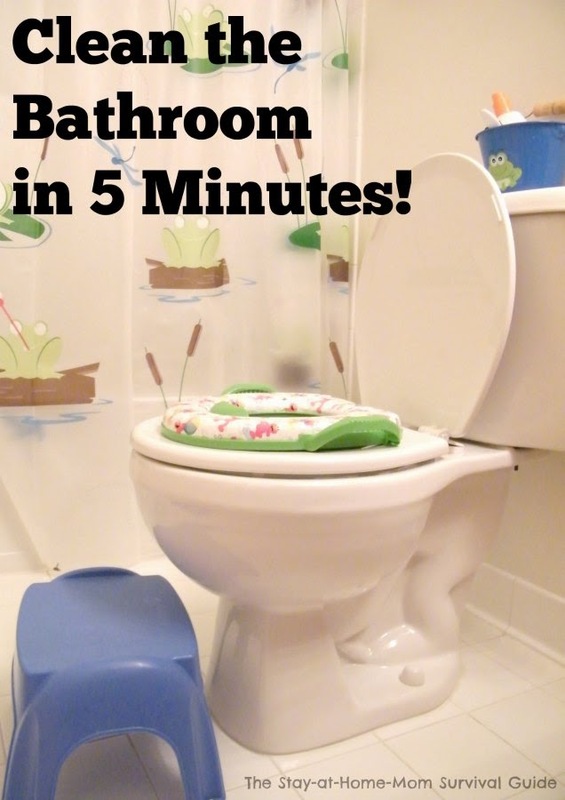 Wipe off the counters, tub surround, toilet tank and around the seat, lid, bowl, etc. 2) Spray all hard surfaces with the your bathroom cleaner from the mirror on the wall to the sink and counter to the toilet surfaces. 3) Wipe off all the surfaces that were sprayed with cleaner with two more paper towels. -You may need to scrub a little around the drain and the counter top if there is any makeup stuck on or traces of dust that were not removed with the dry wipe. 4) Flush the toilet to remove any excess cleaner in the bowl (if you use ammonia-based cleaner). –You do not need to flush if you are using ammonia-free cleaner. It is only a precaution if you use a toilet bowl cleaner with bleach-ammonia and bleach are harmful if mixed. 5) Squirt your toilet bowl cleaner in the toilet bowl, let it sit for a few seconds, and scrub with a toilet brush. That’s it. TWO products, FIVE steps, FIVE minutes. I wet mop my bathroom floors every week. I don’t include that in my timing here since I generally do it when I vacuum and not necessarily at the same time that I clean. For a natural way to mop the floors so you can get that fresh clean scent without harsh chemicals, use essential oils with a steam mop. I share how I do it here. Also, this is where I buy high quality essential oils. You can sign up to try out essential oils and save 24% off retail price! Learn more here. I hope this can help you streamline your cleaning, but STILL maintain a safe, clean home for your family. 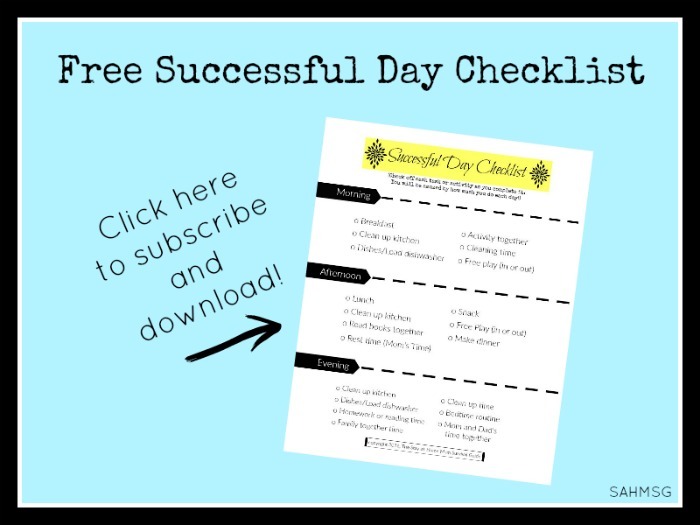 To keep your cleaning schedule organized, here is a printable cleaning or chore chart that can be customized to fit your needs. Depending on their age, your children can help clean by wiping off the sink or mirrors. They touch these surfaces daily, so touching them to help clean is not introducing them to any other germs they are not already exposed to, if you are worried about that. Here are more ideas about how to get kids involved with household chores. I was going to say, “Happy cleaning,” but really, the cleaning process is not necessarily fun, although the end point of a clean bathroom is what I keep in mind. Quick and easy makes it a bit more enjoyable. Check out more of my quick tips for the home. 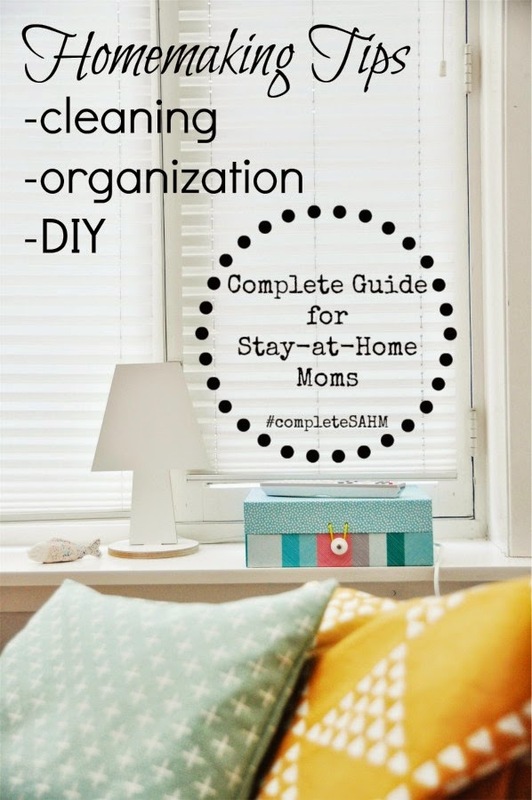 This post is featured in A Complete Guide for Stay-at-Home Moms: Homemaking Tips. 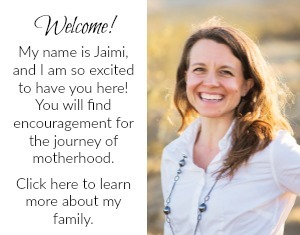 To view all of the amazing tips shared by SAHM bloggers, click HERE. Very helpful tips! Well done with the writing and explanations. Thanks. Very well written article. Bathroom cleaning is not an easy job, hiring a professional with least charges is a tough task too. I’m so glad for your advise! Your bathroom cleaning tips are really very quick and easy but most of all they have an effect. It was my last time of using chemicals last week from now on i will use just your tips. It is amazing how powerful natural elements can be – both baking soda and lemon are excellent for cleaning tough spots like toilets. Thanks for that suggestion, Debora! I am trying to be better about using natural products in my home too. I tried baking soda on the chrome bumpers, mirrors and running boards on my pick em up truck. It does the same thing to chrome fixtures in the bathroom and kitchen. as a matter of fact I recently did a face lift in my bathroom. The shower fixtures were so old I couldn’t find one to replace it. I had no choice but to keep the old one. I rubbed some baking soda on the old one and it looks as good as the day it was new. Love vinegar AND baking soda. Nice tip! Thanks for sharing that here so others can read it too. Those two are perfect cleaning partners, that is for sure. I like using a mixture of vinegar and dish soap to clean glass shower doors-so easy! I would not have thought to wipe things down dry first. Great tip. I'm going to try this. Angela, I have to give that credit to my husband-he cleaned a lot of bathrooms over his first few years in the military! Ha ha! It is a great way to stream-line the bathroom cleaning process. Thank you for sharing your thoughts. 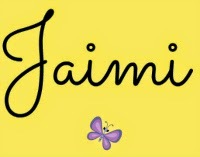 Jenni-thank you for including my blog! I appreciate that. I will get to putting together my own list. Jamie-That is a very good tip to spray the tub first then wash everything else to let the cleaner work for you. I often wipe down the tub after the kids take a bath and then it is one less thing I have to clean later. Thanks for the comments! I will be using this method today. Thanks!